Longford megalbowl is a leisure complex with facilities for all the family with kids play area and a 10 lane bowling alley which is a short drive from Longford town centre. 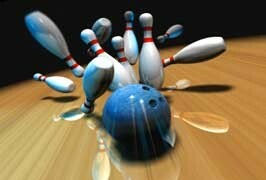 Longford Megabowl bowling is easy to play – no fuss – no formalities – just great fun! With automatic bumpers and bowling, even the youngest children get wonderful enjoyment and they never fail to score! There is also a supervised play areas complete with slides, rope bridges, bouncing castles, ball pool and crawl tubes provides endless fun and enjoyment for kids.